Ryland Peters & Small, 9781788790727, 128pp. Over 65 heavenly plant-based recipes featuring protein-rich tahini, from savory salads, soups, and burgers to sweet energy bars, smoothies, and bakes. Tahini, or sesame seed paste, is much more than the staple ingredient in hummus it is recognized as in the western world. Known as "white gold" in Middle Eastern cuisine, it is a widely used and treasured ingredient, famed for its versatility. 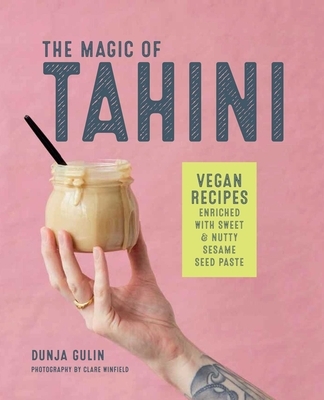 In this book, discover how the savory-sweet, nutty taste of tahini can be used to enhance all manner of vegan recipes. The creamy texture and high un-saturated fat content are especially precious, as when mixed with water tahini has dairy-like qualities that are hard to re-create in a plant-based diet. Learn about the different types of tahini and how to make them from scratch; hulled and unhulled, with both black and white sesame seeds, and how to choose the right store-bought tahini for your recipe. Then discover a plethora of dreamy recipes, from Strawberry-tahini Yogurt to Sesame-full Quiche, Velvety White Soup, Marbeled Muffins, and Coconut and Black Tahini Ice Cream. Just a swirl of this sesame seed paste can take your vegan food from to lackluster to luscious!